With the commonality of major components between German and English built Isettas, it was perhaps inevitable that the commercial version would eventually emerge from the Brighton works. 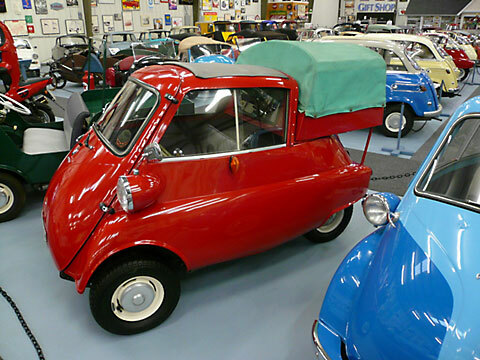 The RAC used a small fleet until they were ousted in favour of Austin A35 and Mini Vans. The absence of bumpers identifies this as a standard model. Whether it was used for deliveries or merely as an advertisement is not known. Rear load space could carry 165 lbs. Weight: 784 lbs. Electrics: 12 v 4 Wheels: 4.80 x 10"